Tour the Vanderbilt's luxury estate without the luxury prices. 10,000 exotic sea creatures. 350 species. 1 low price. No matter which family you side with, everyone loves country cooking. Dinner with Dolly means singing, dancing, a lil' competition, and a feast! 40 rides. 15 shows. 5 festivals. 1 low price. 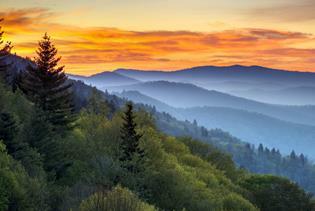 Let us be your guide to Gatlinburg.